A few weeks ago, we flew to Cancun, Mexico for a truly wonderful and relaxing beach vacation. (Regular readers will know that we needed a relaxing trip after what happened to us in Puerto Rico). 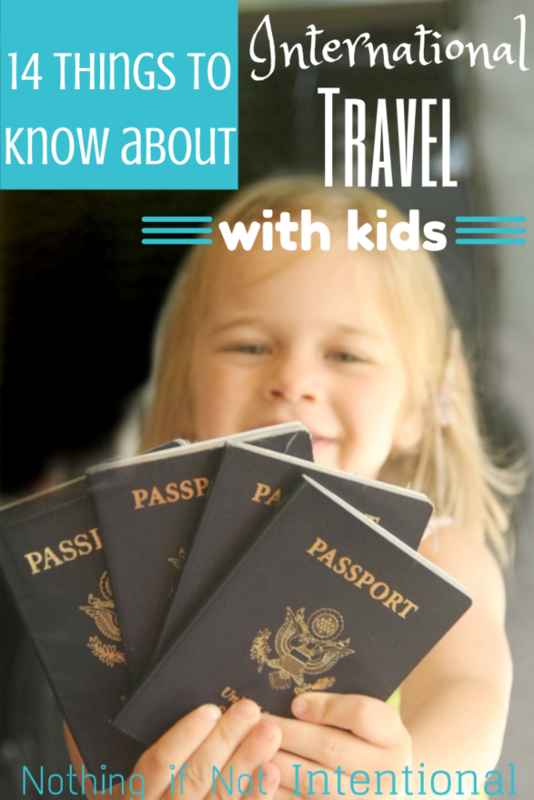 We’ve traveled out of the country with our girls (to Guatemala, Bermuda, Jamaica, and now Mexico) enough times to know that there are added complications that come with traveling internationally with kids. But it’s definitely not so complicated as to discourage us from doing it! 🙂 My hope is that this post will demystify the process and make your overseas travel experiences easier and more fun! 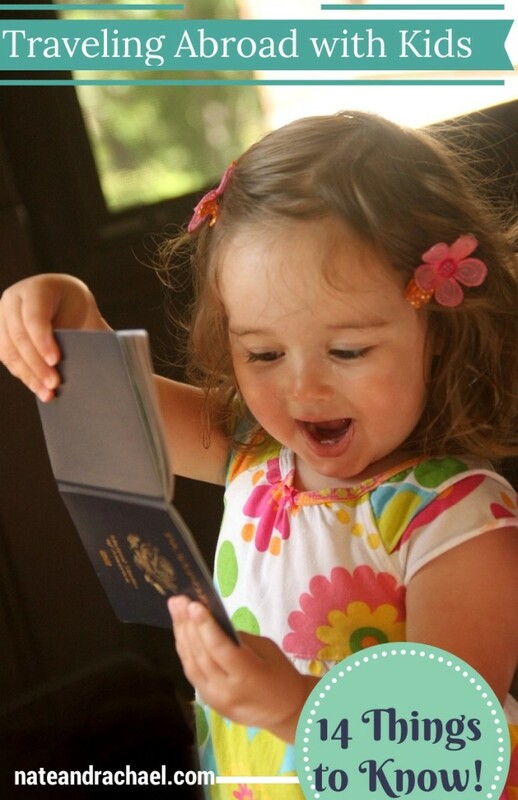 Everyone needs a passport. 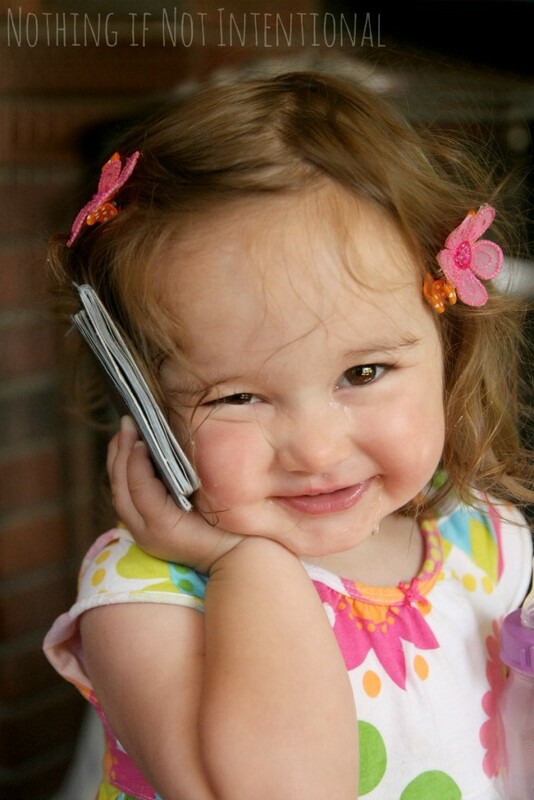 Yes, everyone–even infants. 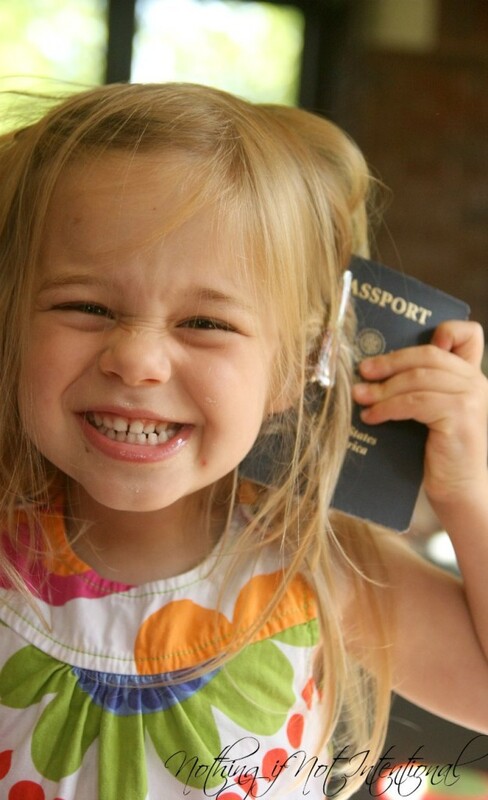 If you plan to take two-month-old baby or even a two-week-old newborn on a cruise ship that will stop at an international port, that baby will need a passport. An exception to this is land and sea entries (not air travel!) to Canada, Mexico, the Caribbean, and Bermuda. These visits only require a U.S. Passport Card. You can take your own pictures and compile them into a collage that fits the U.S. passport requirements using free sites like www.idphoto4you.com. Before you book a cruise, check out our tips for cruising with kids! Some countries require a visa. We’ve only needed a visa when we traveled far, far away (New Zealand) pre-kids, so I’ll defer to the advice shared in this article from Lonely Planet. Call your credit card company before you travel. On more than one occasion, we’ve had our credit cards blocked because our credit card company thought that the international charges were fraudulent. Also, you’ll want to be aware of foreign transaction fees (a few cards don’t have these!) and the current credit card exchange rate. Verify your medical insurance is valid overseas. If not, consider supplementing with travel insurance. If your child has allergies, check out this post with tips on traveling with allergies from Kids On A Plane. If a minor is flying with only one parent, you should have a signed consent form from the other legal guardians that specifies that the child has the guardian’s permission to leave the country. You can find more info here. Like with any trip, you’ll want to hold your mail, find a pet sitter, adjust your thermostat, and secure your home. Make your next trip to the beach the best one yet! Check out the ultimate packing list for your family beach vacation. Who would have guessed that ice cream containers would make the list? Don’t assume your bags will be free just because you’re flying internationally. Gone are the glory days of free luggage! Sure, a lot of destinations still call for one free bag, but this is often not the case for countries closer to home. Check your airline website before you go. Here’s an awesome tip regarding lap infants from Chris of TravellingApples.com: call the airline a week or two before departure and try to book a bassinet. Bassinets fold out from the wall in front of certain designated seats. This way they will have a place to sit and sleep, while you don’t have to have an infant on your lap the whole flight. These designated seats also generally have more leg room. Anticipate the need for a longer layover when you pass through customs. When you’re booking your flight, be sure to leave a longer layover at the first stop back in the U.S. Even if it’s not your final destination, you’ll need to pick up your luggage, pass through customs, recheck your bags, and go through security AGAIN. We flew from Cancun to Atlanta to Indianapolis. At Atlanta, we had a two-hour layover, and we had to rush. Granted we had an awful time just disembarking! But with customs, security, and the need to board the plane train to get to our next gate, we barely had time to grab a to-go sandwich and hop on the next plane. Need a travel-friendly snack? Check out our favorite trail mix recipe! Don’t drink the water. Okay, so there are plenty of countries with tap water that is perfectly safe for drinking! But until you research and know for sure, it’s better to be safe and assume that you should use bottled water. In Cancun, we asked if the water was safe for drinking. My hotel contact said that bottled water is generally used for drinking and brushing teeth. In Venezuela, Nate picked up giardia from brushing his teeth with tap water. He was miserably sick for over a week. During our ten trips to Guatemala (twice with kids), we got sick countless times. We got in the habit of avoiding fruits and vegetables that were rinsed with tap water (like lettuce), asking for drinks without ice, and only drinking fruit juices that came from bottles or cans (in case the fresh drinks were made with tap water). See the trashcan next to the toilet? It might be for toilet paper. The U.S. has pretty remarkable indoor plumbing systems. A lot of countries have plumbing systems that can’t handle flushed paper. Crazy, right?! The funny thing is, in Guatemala, we never read ANYTHING in the hotel literature about not flushing the toilet paper–our Guatemalan friends told us privately. They assured us that naive tourists had backed up and overwhelmed the system on many occasions. Use common sense and travel safely. After Puerto Rico, we are much more cautious. I don’t think our family will ever go for a moonlit stroll again…even at the safest of beaches. For more precautions,please check out our travel safety tips: lessons we learned at knifepoint. Okay, my traveling friends! Did I leave anything out? I’d love to hear more about your international travels and add your tips to this post! ← Kid-Friendly Chex Mix Recipe–Perfect for Travel!